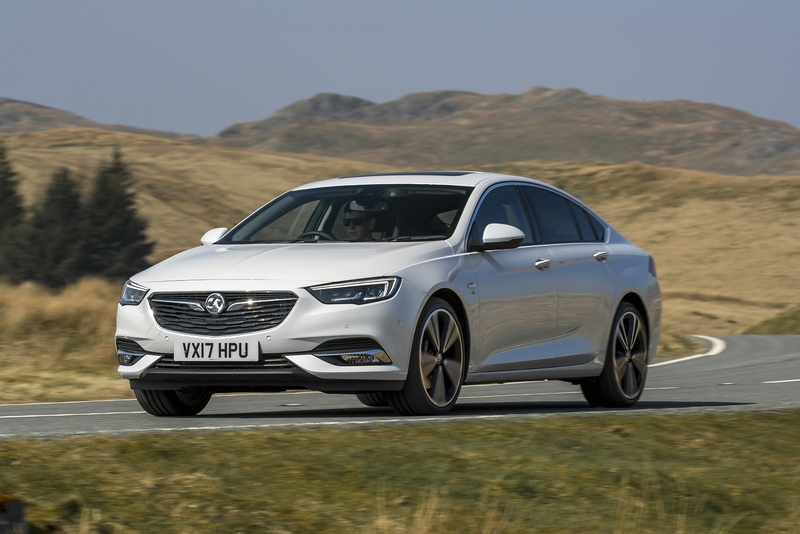 The second generation version of Vauxhall's Insignia gains 'Grand Sport' badging in five-door hatch form, along with smarter looks, a classier cabin, hi-tech features and an efficient engine range. 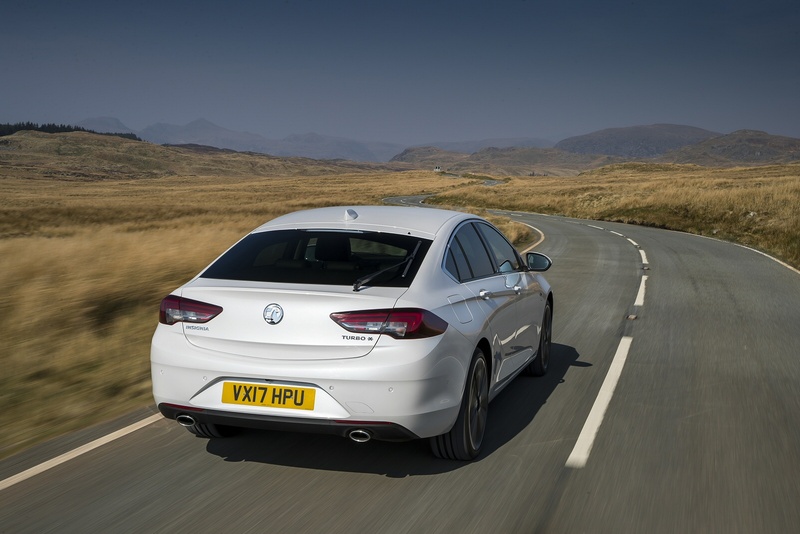 If, like many business buyers, you're browsing in the £20,000 to £30,000 bracket selecting a medium range Mondeo segment model or a compact executive saloon contender, it's a car you really can't afford to overlook. 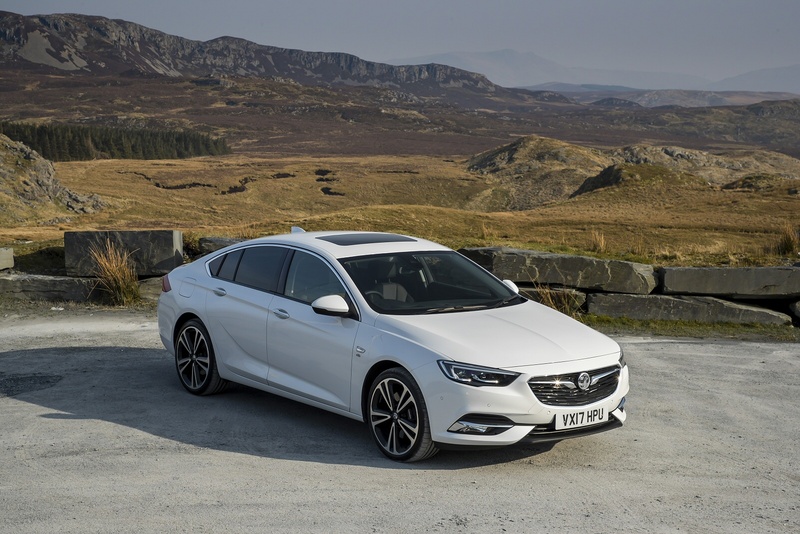 If you perceive Vauxhall's Insignia as a middle management mainstream company car, then the brand reckons it's time you had a re-think. The second generation version of this model gets sleeker looks and a new 'Grand Sport' name for the five-door hatch bodystyle. It's much lighter and more sophisticated than its predecessor, with a more spacious cabin, plus the option of 4WD and a new 8-speed auto gearbox. Think of a feature you can get in a pricey compact German premium brand - LED matrix lighting, Lane Keep Assist, Head-up Display, cutting-edge media connectivity. 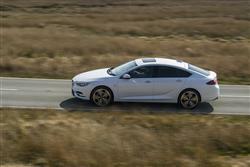 All of it's on offer here, plus use of Vauxhall's brilliant OnStar concierge system. It's a strong package. On the move, this Insignia feels like the bigger car it's now become, the suspension floating you over broken surfaces that would have troubled and impeded the previous model. Importantly, this second generation model is 175kg lighter than its predecessor and that really shows when cornering at speed, where there's less body roll than before and generally, a much higher level of agility. As for engines, well most buyers will continue to want a diesel, with the majority of sales likely to go to the 1.6-litre Turbo D unit we tried, offered with either 110 or 136PS. If you trade up to the 170PS 2.0-litre diesel, efficiency drops off markedly, though there's the compensation of 400Nm of pulling power, a figure that will be improved further if you go for the 210PS biturbo variant. Engine-wise, you'll find much more that's really different if you turn your attention to petrol power, with all three units on offer being pretty new. Small capacity turbocharged engines that use unleaded are very much in vogue at present and the 1.5-litre unit supplied here should suit that trend, offered with either 140 or 165PS. There's also a 200PS 1.6-litre Direct Injection turbo petrol unit. Further up the range sits a potent 260PS 2.0-litre petrol Turbo model that showcases both of what are arguably the two most significant engineering developments introduced with this second generation Insignia. One is the super-slick 8-speed auto gearbox that's optional on lesser models. The other is a sophisticated new intelligent all-wheel drive system that uses a state-of-the-art rear torque vectoring system for greater cornering traction and sharper turn-in. Insignia buyers choose between this five-door Grand Sport hatch model or the Sports Tourer estate variant. There are seven trim levels available - 'Design', 'Design Nav', 'SRi', 'SRi Nav', 'SRi Vx-line Nav', 'Tech Line Nav', 'Elite Nav' and 'Gsi'. 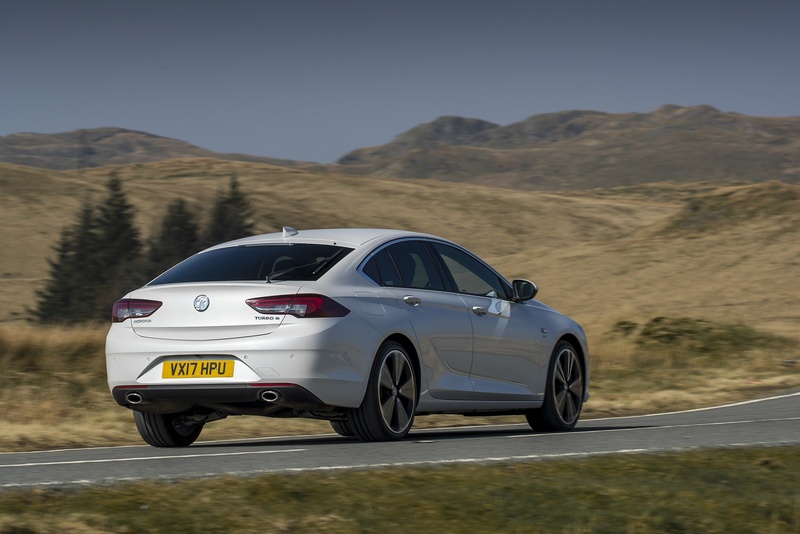 The asking figures start at around £19,500 and range to around £37,000, pricing that offers extremely strong competition to the German premium-badged compact executive models that Vauxhall would ideally like to target. There's plenty of clever equipment features that should interest that target market. The 'IntelliLux LED matrix light' for example, which illuminates with 32 LED segments and integrates in this Insignia's smarter, slimmer headlamps. Other driver assistance systems include a Head-up-Display, Adaptive Cruise Control, Lane Keep Assist with Lane Departure Warning and Rear Cross Traffic Alert. Vauxhall is still one of the few manufacturers to offer seats certified the 'Campaign for Healthy Backs'. And, as for media connectivity, well, as you would expect, the IntelliLink infotainment system is compatible with the Apple CarPlay and Android Auto. 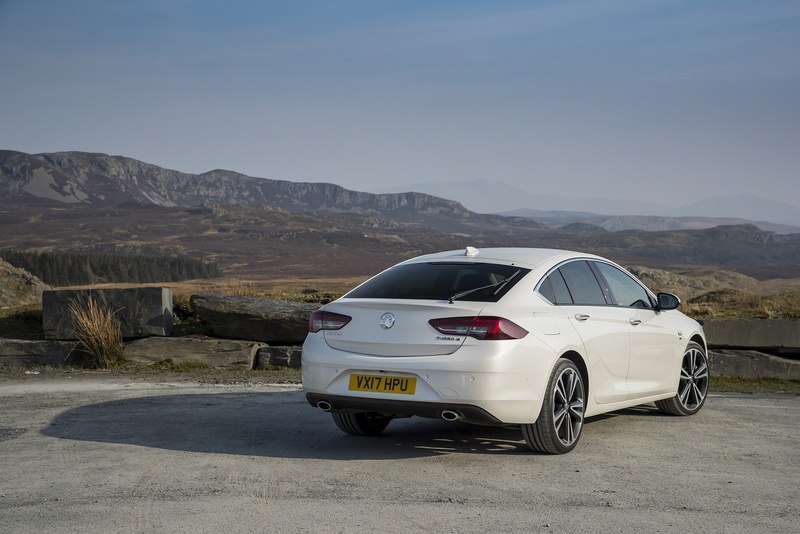 Insignia Grand Sport buyers also get Vauxhall OnStar, the brand's the ground-breaking connectivity and service assistant. This offers services ranging from Automatic Crash Response to Stolen Vehicle Assistance. A new concierge service is available to Insignia Grand Sport customers, enabling passengers to ask OnStar advisors to select a hotel and proceed to room reservation. Furthermore, up to seven devices can be connected to the car's Wi-Fi Hotspot. 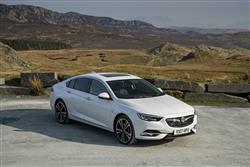 Around 85% of Insignia buyers go for a diesel - and you can see why. 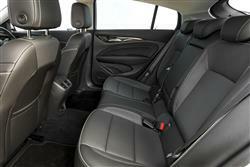 Well over 70mpg is possible from the 1.6 CDTi unit most Grand Sport buyers will choose. As for residual values, well these will depend on whether the industry recognises this Grand Sport model's shift up-market. Even if it does, the depreciation levels won't match those of premium German rivals. But then, you'll be paying less up-front in the first place, so it's swings and roundabouts. CO2 figures are very competitive, the base 110PS 1.6-litre diesel capable of putting out as little as 105g/km. 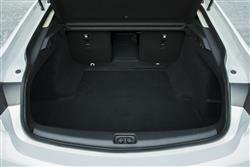 The volume 2.0-litre diesel manages 136g/km. The base 1.5-litre petrol variant manages 133g/km. The 1.6 petrol turbo manages 44.8mpg (combined) with CO2 emissions of 146g/km. You'll also need to know that Vauxhall includes a three-year, 60,000 mile warranty as standard, a package that can be extended up to five years and 100,000 miles at extra cost. A year's free breakdown cover is also provided, along with a six-year anti-corrosion guarantee. Plus you can opt for a service plan that lets you pay monthly to spread the cost of regular work to your car. As part of this, Vauxhall offers discounts on wear and tear items, such as brake pads and windscreen wipers. If you�re looking for a new Vauxhall Insignia 1.5T SRi Nav 5dr Petrol Hatchback for sale, you�ve come to the right place. 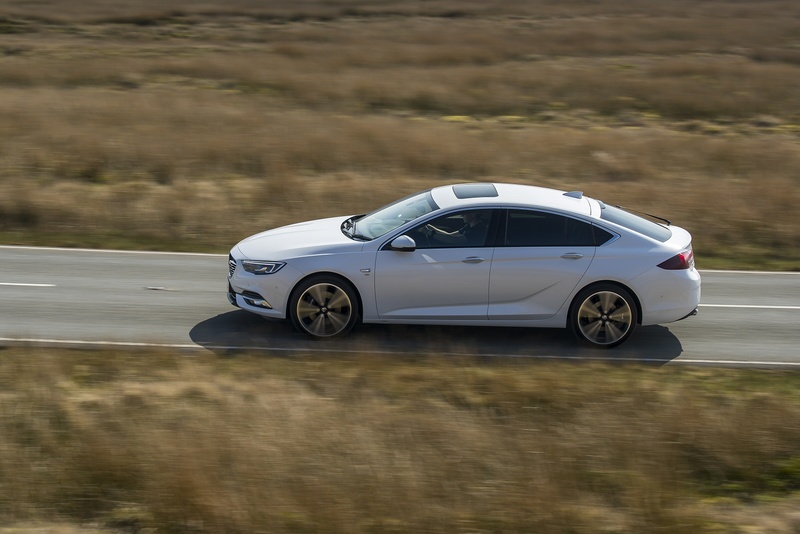 At Bristol Street Motors we don�t just have the best Vauxhall Insignia 1.5T SRi Nav 5dr Petrol Hatchback deals, we also offer friendly advice and help with all your enquiries to ensure your buying experience is a happy experience.